If you would like to make a financial contribution to support the library, there are three different avenues. The first it to make a donation directly to the Library to assist with operating expenses by completing this library donation form. The second is to make a donation of money or time via the Friends of the Gloversville Public Library. By becoming a member of the Friends, you assist the Library with projects and purchases outside its annual operating budget. This membership form can be printed and mailed to the Friends c/o: Friends of the Gloversville Public Library, 58 East Fulton Street, Gloversville, New York 12078. Last, but certainly not least, is the Gloversville Library Foundation. Direct donations are accepted by the Foundation and can be sent along with this Foundation donation form. Another option is estate planning. By leaving a portion of an estate to the Gloversville Library Foundation, Inc. in a will or trust, the Library and the community it serves will benefit from the donators' generosity for many years into the future. 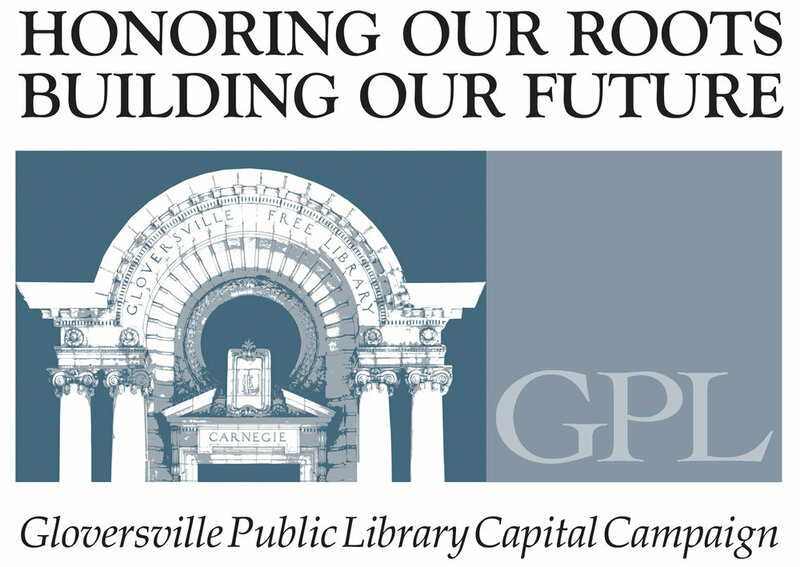 The Gloversville Public Library would not be the wonderful and successful place it is today without the support and dedication of its support organizations. Friends of the Gloversville Public Library, Inc. The Friends of the Gloversville Public Library, Inc. incorporated in 1974, have been dedicated to providing programs, funds, and advocacy for the Library for more than 30 years. There are various levels of volunteering for people who wish to be involved with the Friends. The Gloversville Library Foundation, Inc. provides approximately 40% of the Library's annual operating budget. Donations made to the Foundation are invested to earn the largest dividends possible. The Foundation was formed in 2005 to safeguard and invest the Gloversville Free Library's endowment. This endowment began in the 1880s with a donation from Electra Faye in the amount of $25,000 (original value). That donation and thousands more have been invested on behalf of the Library with all interest and dividends being turned over to the Library for its annual operating budget. While the principle is not touched, the money earned has provided up to one-half of the Library's annual budget.